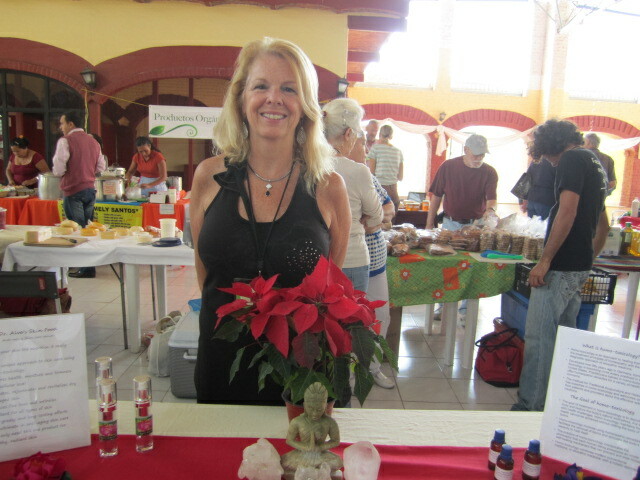 The Ajijic Tuesday Organic Market is an ever expanding success story. It started out in Carol Kindschi’s Back yard in March three years ago. 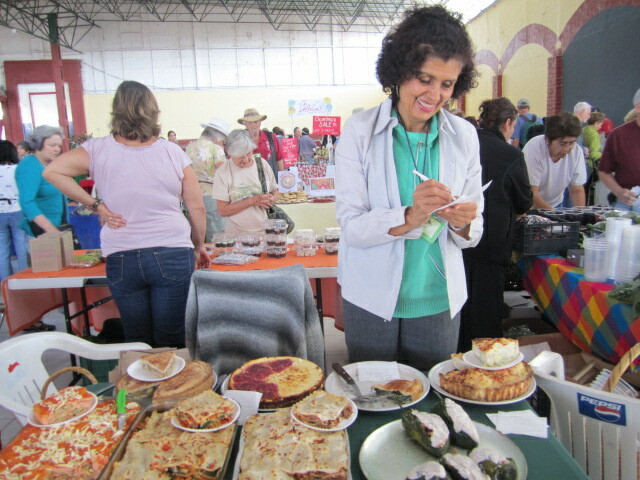 It was organized by a small group of Expat women. 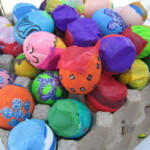 The idea was formed when a dear woman friend developed cancer. These women decided to bring the organic fruits and vegetables to one place so they could shop for her. 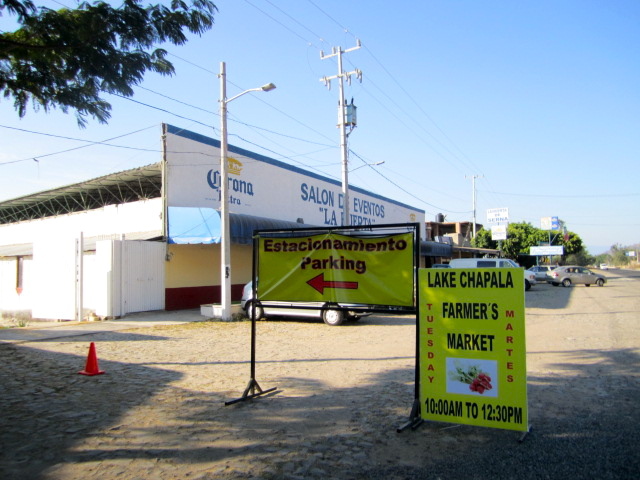 They contacted all the organic farmers in the lakeside area and the market was started. The first e mails went out to only thirty neighbors. It quickly took off like wildfire. 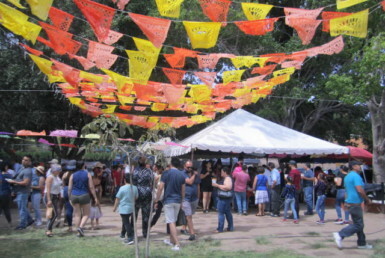 It has changed venues three times since then and many more venders have joined. The woman with cancer recovered and returned to the States. All good news. This market seems to be touched by magic. It is a huge success and every Tuesday morning there is a line of people waiting for it to open. 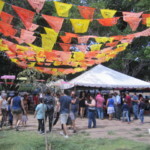 Watch out for the crush at the most popular stands.The current location is at La Huerta Eventos Center in West Ajijic. It is easy to find. It is three and a half miles or ten minutes from the Libramento. Carreterra-Jocotopec-Lakeside #522. Just look for the signs and all the cars. The entrance is on the side of the building next to the parking lot. Shoppers aren’t allowed inside until ten on the dot but venders can back their trucks up to the door to unload. 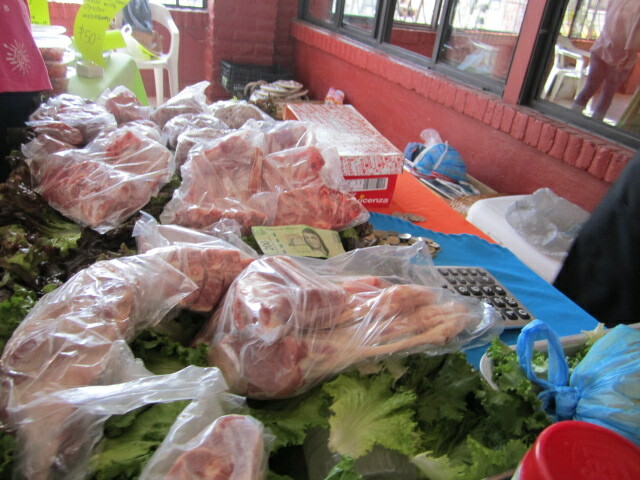 They also get to shop before the market officially opens and sometimes they trade goods and make deals. The building is very large and there is enough room for all the stands and shoppers. It is open every Tuesday, even if it is a holiday. 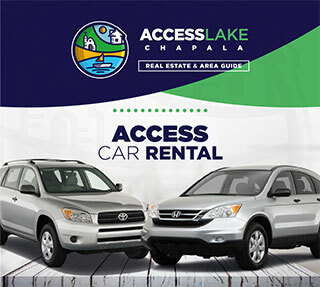 After the market started to grow, they became associated with the Lake Chapala Green Group. 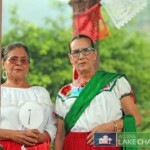 If you are interested in this group, please check out their web site at www.Lakechapalagreengroup.com. Whenever the market moves locations, you can find the information on this site. 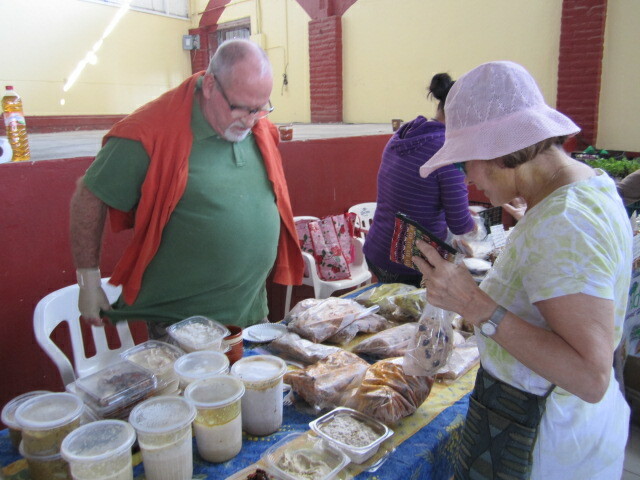 The market was first set up in Carol Kindschi’s yard. Within a few months it had outgrown this space. Carol was on the committee for a year and a half. Now she says that she is just a shopper. The committee meets once a month. Anyone wanting to sell at this market must first go there, bring a sample of his or her wares to be reviewed by the committee. 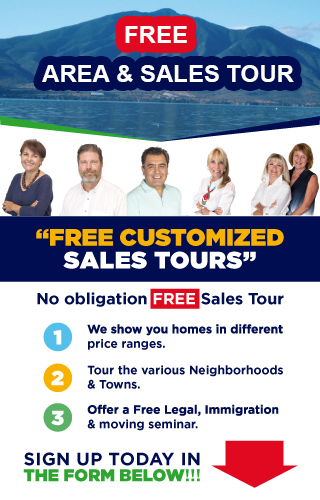 The cost is 40 pesos a week plus 40 extra pesos once a month for advertising. It was obvious from my interview with Louraisha Shaw that she loves this market and devotes a lot of her time to keeping it going. 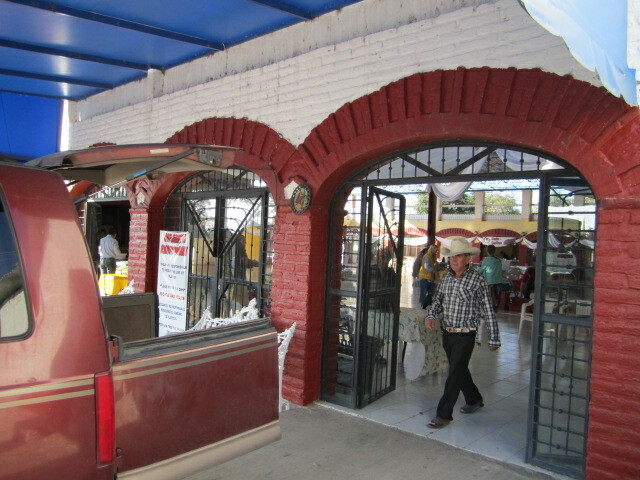 Some of the venders at this market also sell in the other markets. 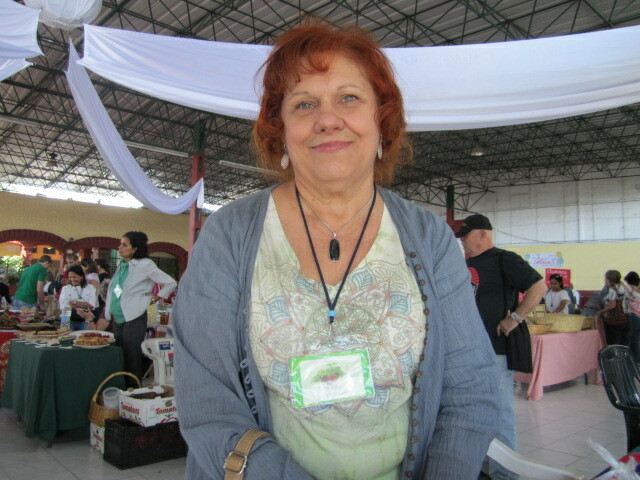 Bessie Platten goes to several, including the Wednesday market in Ajijic. 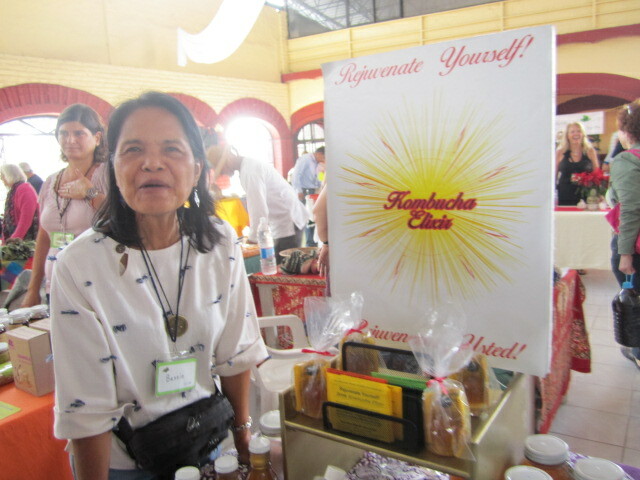 She makes a Kombucha fermented tea which is filled with healthy probiotics, anti-oxidents, vitamins, digestive enzymes, amino acids and minerals. I love this drink. The Secret Garden stand always has a line. Peter makes delicious desserts and he sells out quickly. Christabol also sells coconuts in the Wednesday market. He sometimes has coconut oil for sale. A coffee shop has recently opened inside the market. I didn’t get a chance to stop by and try some of the food but I heard from some of the venders that they serve excellent coffee. 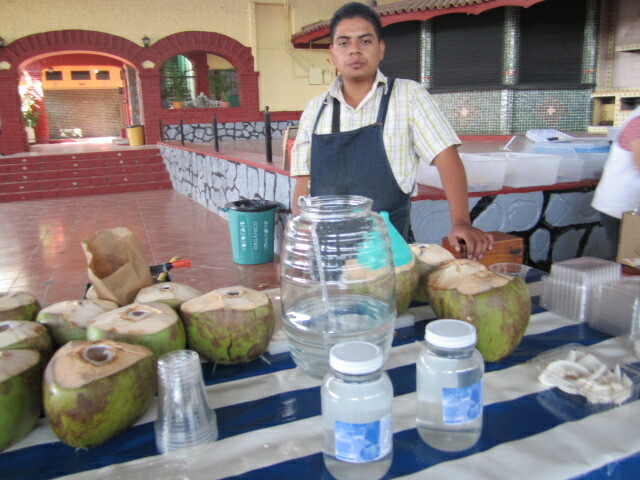 Jose’s stand is one that I visit every week. I love his chutneys and pickled ginger. 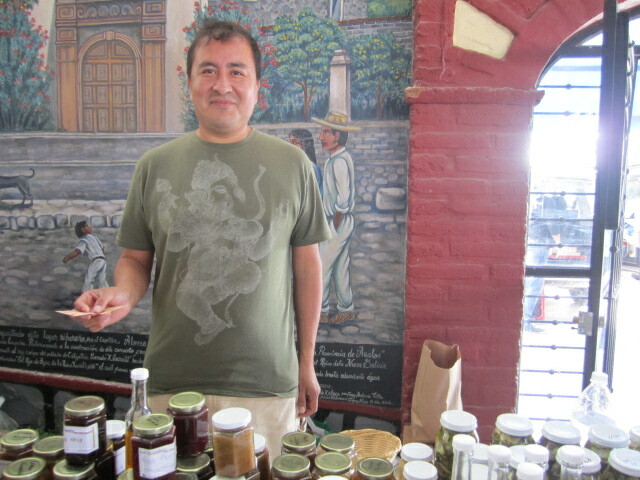 He also has a store in the Ajijic plaza that I visit between Tuesday markets. I am addicted to his jars of homemade things. 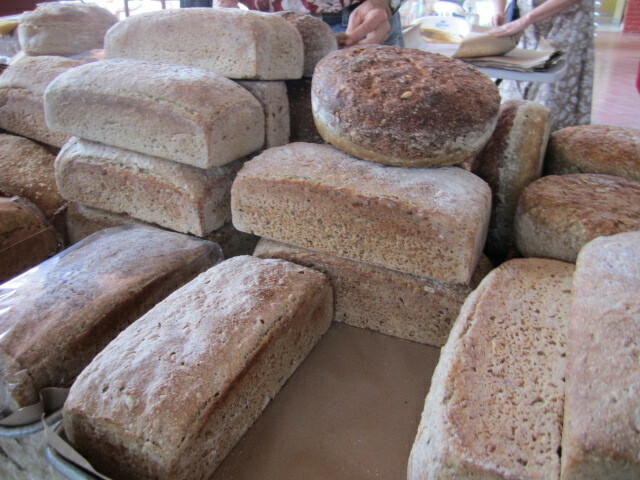 Several venders specialize in homemade breads and they sell out quickly. I have gotten a delicious rye bread at one place but now it is so swamped with customers that I have given it up. 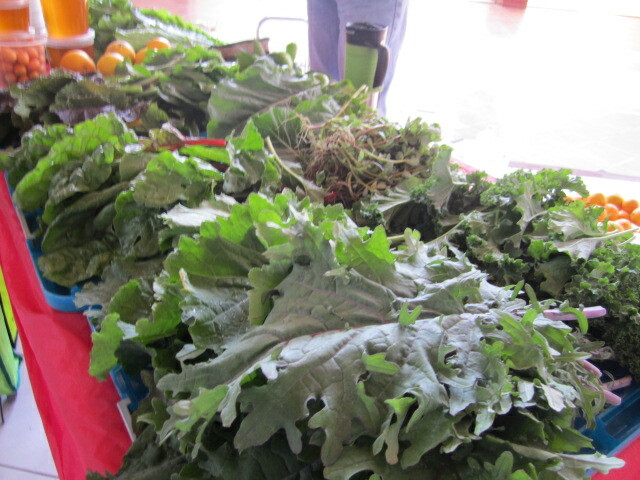 There are many fruits and vegetables at this market that can’t be found anywhere else. When I was there I bought some parsnips and they were delicious. 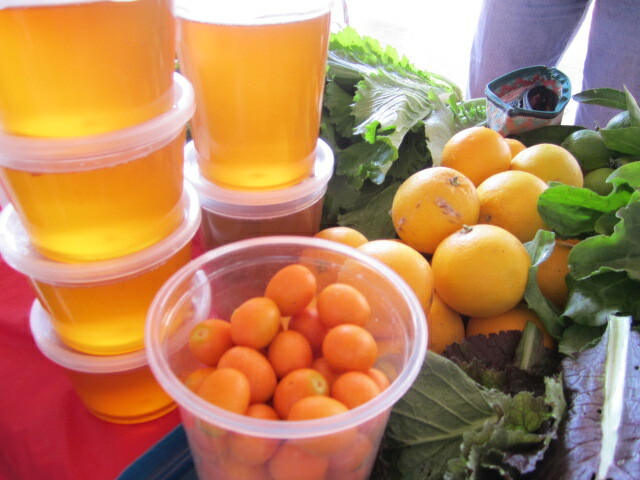 I also like Kumquats and haven’t seen them in the other markets either. It is fun to discover new fruits and veggies. 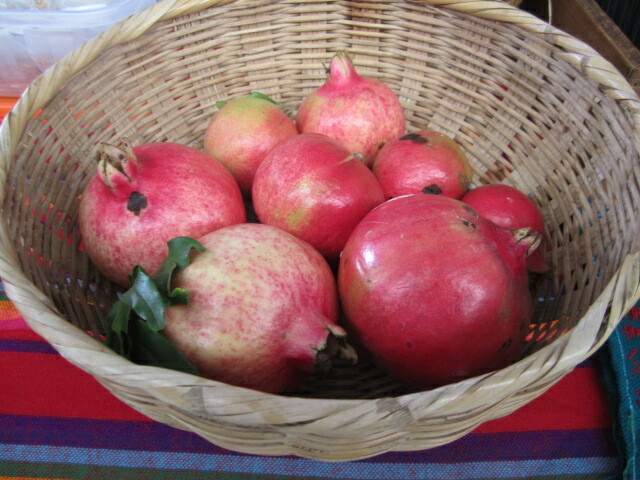 Pomegranate, another rarely found fruit in the other markets. 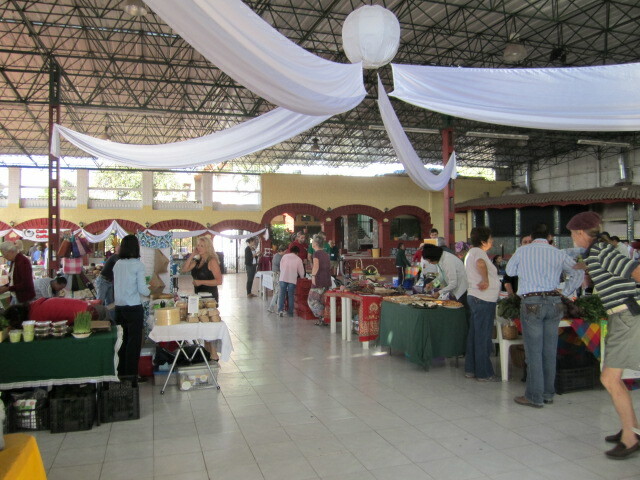 Most of the stands sell organic fruits and vegetables. They have to prove that their products are actually organic and not just in name. 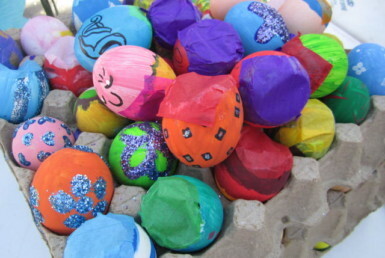 They cost a little more than the ones found in other markets but they are well worth the extra expense. 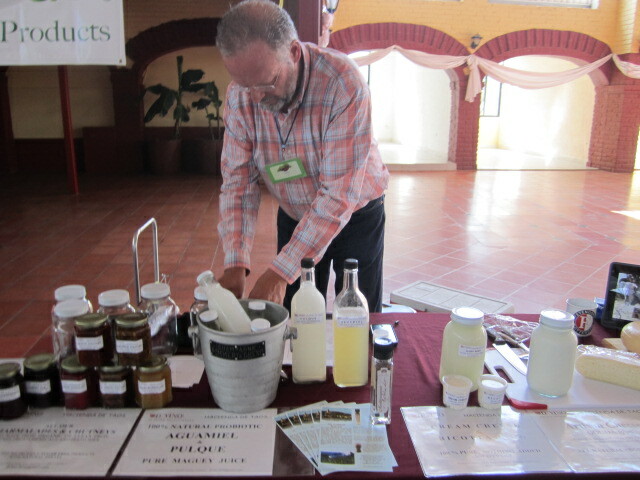 Several stands have fermented things for sale. They are filled with probiotics and great for the health. There are other things for sale besides food. Kimberly O’Connor sells her special skin lotion. There are also stands selling craft items and I am guessing there will be more of these as we get closer to Christmas. There are a couple of Organic Meat stands and one fish stand. I don’t buy meat but my friends tell me that it is delicious and not much more in price than regular meat sold at the other markets. 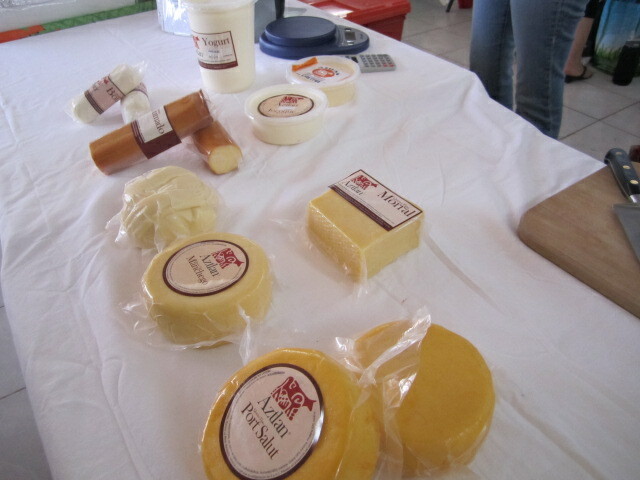 Many of the stands have cheese and yogurt for sale. Sometimes they put out free samples. I love to try the samples. 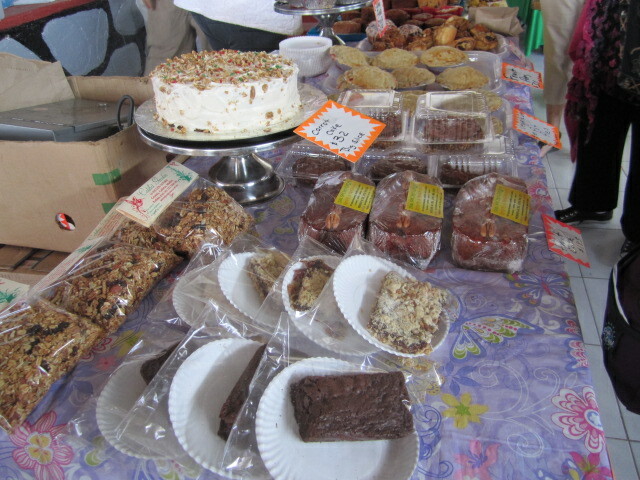 There are also venders selling delicious homemade healthy meals. I like to buy a few and put them in my freezer for later on in the week. This market is a great place to meet up with friends and if you like to take photos, there are many opportunities here with all the colorful fruits and vegetables. Their hours are from ten a.m. to twelve thirty a.m. If you go after eleven it isn’t as crowded but many of the things are already sold. 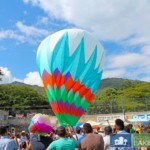 I hope you will visit this market. 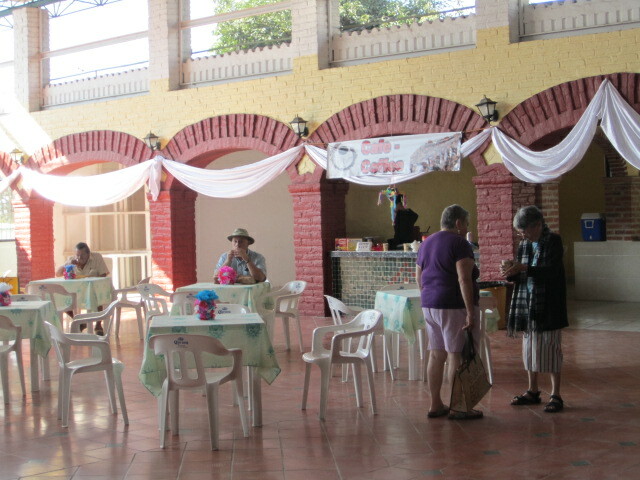 Although there are some people who also sell at the Wednesday market in Ajijic, this is a very different experience. One not to be missed. I go every week. Congratulations! its an excelent Organic market. I want to keep contacto with you especially with kim and howard o’connor, i’ve visited you last tuesday, im from ciudad guzman jalisco. 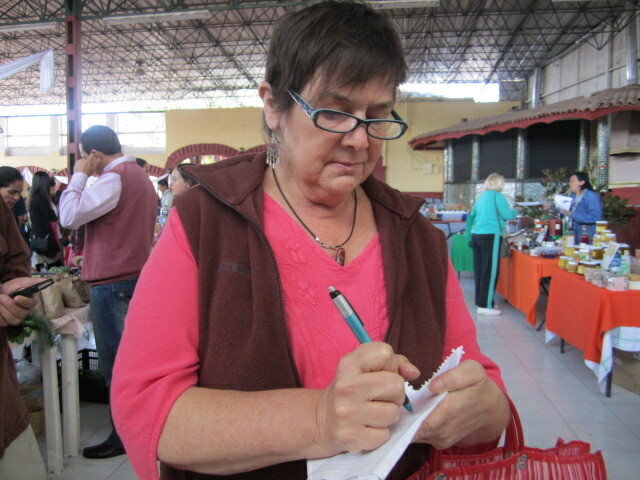 great job, i have been coming to the market since it first started six years ago. What time is this market? 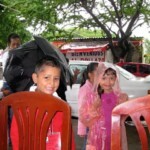 I wonder what kinds of licenses are needed to produce and sell food at markets in Mexico? Also liability insurance? I did this for years in the UK and know they are strict. 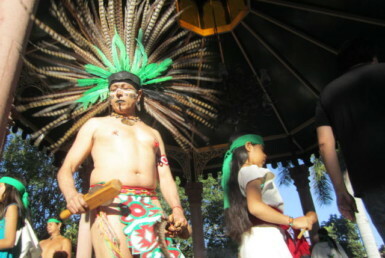 I am looking to move to Mexico and this looks very interesting. Thank you.